Forex Trading Tips - Find the best FOREX Brokers, FOREX Bonuses, FOREX Signals, FOREX News, FOREX Rates and everything FOREX related on Forex Directory! 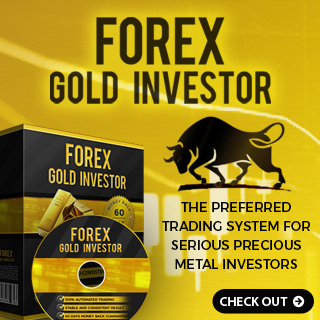 Everybody can learn to trade Forex and every person (of a legal age) can open a Forex account. Some people have the impression that Forex trading is easy - some Forex Brokers like to make you believe that - while others think it is not and all depends on sum of money which you put at risk. No matter if you are a beginner or an experienced trader we would like to show you some important trading tips which can help you coming to grips with Forex trading with its challenges and risks. Tip 1: Gamblers should choose a casino because all unproven and impulsively actions in Forex trading are a part of pure gambling. When you try to trade without an analysis and studying the market it will be like playing a game. Tip 2: You should never invest your money into a real Forex account until you practice on a Forex Demo account. You should pratice at least six months on a demo trading account. Please have in mind: 90% of the beginners fail in the real money market because of lack of knowledge, practice and discipline. The remaining 10% of successful traders had been improving their skills on a demo account for extended periods of time before trading the real market. Tip 3: Follow the trend! The Trend is your friend. You should always try to trade with the trend to maximize the chances to make your gains. If you trade against the trend it will not "kill" you but it will definitely need more attention, nerves and skills to achieve your trading goals. Tip 4: You should always have a look at the larger timeframe than the one which you have chosen to trade with because there you can get a better overview of market price movements and it helps you to clearly determine the trend. E.g. when you are trading with a 15 minute timeframe you should have a look at the 1 hour chart. So when you are trading with a 1 hour chart you should check the daily or weekly charts. If a trend detection is difficult you should always choose a bigger timeframe. Up and down market patterns always exist. Be sure that you know the main trend except you are a scalper. Scalpers do not need to spend time by studying large trends because their main focus lies on the 1-5 minute timeframes. Tip 5: You should never risk more than 2-3% of your real trading account. A significant difference between a successful and an unsuccessful trader is that the first one can handle unfavorable market conditions whereas an unsuccessful trader will lose his account after 10-15 unprofitable trades in turn. Even with the same trading system two traders can get converse results in the long run. Once again the difference will be in how a trader handles money management. Think about it: losing just 50% of your trading account balance demands making a 100% return to recover the original balance. Tip 6: Block out your emotions and trade serene. Do not try to be out for revenge after a losing trade and do not be greedy by adding a lot of positions when you are winning. Overreaction always blockades a clear thinking and as a consequence it will cost you money. Overtrading can be bad for your money management and dramatically increases the trading risks. Tip 7: You should choose the right timeframe for yourself. What is important that you are comfortable and have enough time to study the market, place and close your orders etc. Some traders are impatient and can not wait for hours until the market price makes a move so they like action and choose smaller timeframes. Tip 8: You should not trade when you are sceptical, so learn to wait. If it is not distinct where the market price will move do not take a trade. In this instance to save your existing capital is a better choice than taking extra risks and losing money. Hoping that the market will change in your favoured direction is a very misleading hope. When you move a stop loss wider you will increase the chances to end up with a much bigger loss of your capital. Tip 10: You should "Keep it simple and stupid" - KISS rule - for Forex indicators, Forex signals and Forex trading strategies. If you have too much information that will generate a unclear picture of when you have to trade and when not to. To prevent much chaos you should construct an easy but working technique of trading Forex. Tip 11: You should think about the risk/reward ratio before you are taking a trade. So always ask youself: How much money can you lose in a trade and how much can you gain? After that you should come to a decision if the trade is worth to take. E.g. if you are looking for a possible 50 pips gain and a possible 40 pips loss such conditions should not be traded. Make a comparison with the situation when you have 70 to 100 pips of a potential gain and only 10-20 pips of a possible loss. This is the trade which you should seek for! Tip 12: You should never add positions to a losing trade. So you should only add positions if the trade has proven to be profitable. You should not enable multiple losing trades in succession to get a bunch of losing trades. If it is obviously not a good day for you, you should turn the monitor off. No trading for one day can help you to avoid losses. You should never try to take vengeance! Tip 13: You should let your profits run. Let your trade be open while the market wishes to reward you. Needless to say for this you need a good exit strategy or you will risk to loose all of your profits. If you have two or more open trades it will give you an option to close some trades earlier and keep others running for higher gains. Tip 14: You should cut your losses short. It is always better for you to close unprofitable trades fast than waiting for the situation to get worse. Do not set a stop loss too wide because it is your money that you risk in every trade. Better detect the best position to enter where a potential loss would be minimized. As mentioned earlier always regard your stop and do not move it. Tip 15: You should trade Forex pairs in the matter of their active market hours. What is important that you should learn about overlapping market hours: if two markets are open and highest the volume of trades is conducted. E.g. the trading sessions of Australia and Japan are overlapped from 8 pm to 1 am EST. 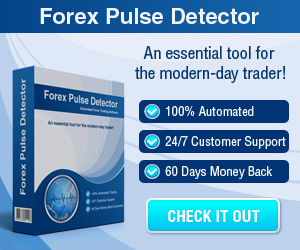 By this time you can successfully trade the AUD/JPY Forex pair. Tip 16: You should pick the right day to trade. This advice is often misinterpreted as an optional thing because you know that the Forex market is open 24 hours a day 7 days a week. It can make a big difference between successful and hopeless trading when you do not choose the right time to trade. We do not recommend to trade on Mondays if the market has recently woken up to form a new or confirm a current trend. During the huge volume of closing trades on Fridays afternoon it is better for you to stay out. So the best days for Forex trading are Tuesdays, Wednesdays and Thursdays. Tip 17: You should learn about the Fibonacci levels and how to use them for your trading. Fibonacci levels can be a good help for your trading, even in some cases using the study, e.g. to decide the best exit. Fibonacci trading can bring you to a new edge of trading. Tip 18: You should always be sure that a signaling bar/candle on the chart is formed completely and closed before you take a trade. An important rule of trading for you: "You should always trade what you see and not what you would like to see!". Tip 19: When you choose live trading signals for giving you a trading tip on how and when to trade, you should feel certain that you do it for your own advantage. When you use such signal services to determine how other traders do analysis and study on the market price, you are on the right path and shortly you will have the ability to analyse the market yourself. But when you are just blindly following advices and your only job is to push the correct button you should think about it. Tip 20: The use of a highly leveraged account will cost you money. This opportunity will give you more financial space to trade but for new traders high leverage can end up in a disaster. Tip 21: You should learn to measure your trading success by the end of a special period of time (daily, weekly, monthly and yearly). You should not judge about your trading success on a single trade. To be a good and successful trader you should not need to win every trade and you should not become rich in one trade - the important thing is that you need to be profitable in the long term. Tip 22: Please have in mind that there exists no secret method to understand the market. 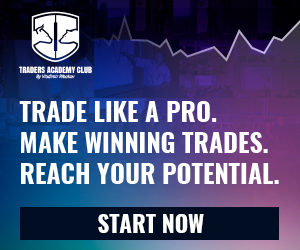 So you should take your time to develop a reliable trading system for yourself and find out that the secret to trading success underlies in a arduous and steady learning process.